Because of the importance of the chemical composition in the seamless steel pipes, we need pay more attention on it. Over the past century, the seamless steel pipe industry has undergone tremendous development both in manufacturing technology and market share. Marked by high-strength and ductility, seamless steel pipes are durable and versatile and are frequently used in the construction sector and mass gas or oil transportation projects. Thanks to the flourishing oil and gas industry as well as the booming construction industry in developed countries and emerging economies, the market demand for seamless steel pipes, API steel pipe in particular, has been growing by leaps and bounds in the recent decades. More, it is estimated that in the next five to ten years, large investments in petrochemical plants and power plants will be made, which will add to the demand for seamless steel pipes. Seamless steel pipes are widely used throughout the oil and gas industry, as well as for pipe piling and hydraulic hoists. Hot rolled strip steel is continuously formed into smooth surfaces. 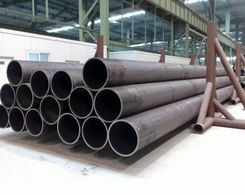 Moreover, higher automated production, combined with continuous visual inspection and hydrostatic testing, assures a steel pipe product of outstanding quality. And because seamless steel pipes are made from flat-rolled steel, they have highly uniform wall thickness. The grades of seamless steel pipes vary in chemical composition from carbon steel pipes to multi-element ones. Precise control of compositions allows for the manufactures to make products with an array of properties and attributes. When selecting the materials used in manufacturing seamless steel pipes, widely recognized codes and standards made by such organizations as ISO and ASTM should be carefully considered. In general, the product analysis of seamless steel pipes is not allowed to exceed the following standards: Si 0.38%, Ti 0.04%, and V 0.08%. The content of Boron should be shown in the heat analysis as well as the product analysis and should not exceed 0.0005%. In general, seamless steel pipes are primarily made of steel and other metals. Chemical elements like C, Mn, P, S, Si, V, Nb, Ti vary in accordance with the specific types and manufacturers of seamless steel pipes. 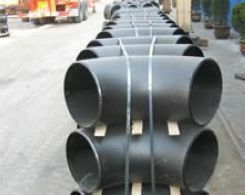 For example in one type of API steel pipe PSL 1 made by an American pipe manufacturer, the chemical composition of C is less than 0.25%, Mn 1.20%, P 0.030% and Ti o.o4% while the parameters of the same model produced by an Australian manufacturer reveals that the chemical composition of C is less than 0.24%, Mn 1.10%, P 0.032% and Ti o.o4%. Temperature is one of the determining factors in the chemical composition of seamless steel pipe. For instance, A333 Gr6 steel pipe is made of non-nickel steel. If the temperature is lower than 1680° C, impurities such as S, P, and N can be detected in the finished products. Impurities may lead to insufficient toughness and brittle fracture while the pipes are used in high-pressure or high-temperature environments. Having clearly understand the importance of the chemical composition, you can know vary the grades of the seamless steel pipes easily.